A member of the Lagos State House of Assembly representing Kosofe 1 and aspirant for Lagos East senatorial district, Hon Bayo Osinowo, popularly known as Pepper has said his mission at the upper chamber if elected would be to promote political and love. 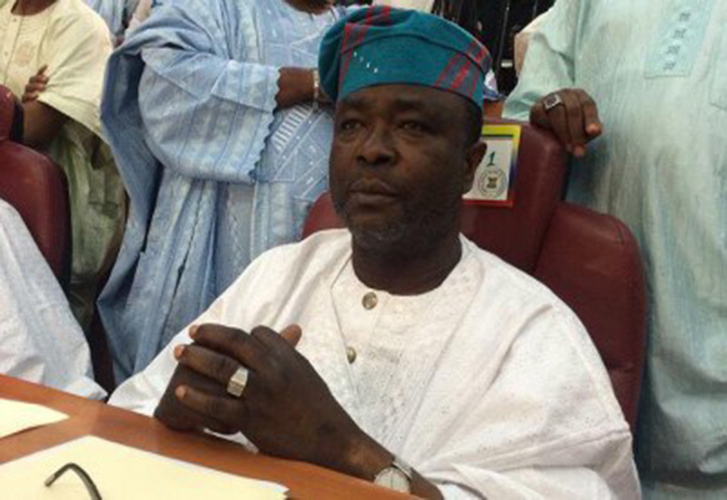 Osinowo stated on Thursday in Lagos at a formal declaration of his intention to run for senate in 2019 on the platform of the ruling All Progressives Congress, APC. He added that the experience he had garnered in the last sixteen years at Lagos Assembly will enhance his performance at the Senate. “Based on what on what people are saying in the State House of Assembly, I have been known to be a peacemaker; with the support of my colleagues in the House we have made the Lagos State House o Assembly the most peaceful in the country. So, I am taking the message of political peace and love to the upper chamber. So help me Allah”, Osinowo declared. “The aspirant said his aspiration had the blessings of key stakeholders in Lagos East APC adding that he would continue to promote human capital development of the constituents when he gets to the red chamber. ‘Since 2003, our people in Kosofe State Constituency 1 have continually reposed their trust in me by giving me their mandate to represent them at the Lagos State House of Assembly. “Although, the road has been rough and tough, with all sense of modesty, I believe that the level of our success in the State Assembly has given birth to today’s event. “The decision to officially offer my humble self to represent the good people of Lagos East Senatorial District in the upper legislative chamber is born out of legislative zeal. “Luckily, my aspiration has the blessings of leaders of our great party, the All Progressives Congress, APC in the senatorial district. “The assignment to represent this senatorial district is a challenge and onerous task. “Notwithstanding, it is a call for higher service. No doubt, with the support of Almighty Allah and you all here, we shall excel. “I have also been actively involved in the political activities of the East Senatorial District for over two decades. I know where the shoe pinches. Your welfare and improved standard of living remain my priority and I am assuring you that I shall remain totally committed to all my promises”. You’re more than qualified to contest the seat sir and from isolo and Lagos west, we give you all the support because your influence also transcend Lagos east. We are feeling your hands of quality leadership in the west sir.